What else? What else did we want from Apple (AAPL) in today's launch of new products? Today's the day when Apple launched Apple Plus where you can save a lot of money if you want hundreds of magazines. When we saw the offerings, as I predicted, the stock got hammered and it reverberated throughout the stock market. I know I want this Apple Plus product because I pay separately for so many of the publications that it has. I will share the subscriptions with my family. I will also get the Apple credit card because, why not, it's a better deal than I currently have. I haven't had a chance to download. I will do it tonight. The stock rolled over because these are pedestrian applications. As I have said over and over again much of life is prosaic and if these services make life a little better and a little easier, I say game on. I also like the fact that the Apple card gives you cash back on a daily basis. I truly have no idea how many points I have. I want cash. Again, the 2% I get back is a heck of a lot better than what I get on my current card, and the 3% for the app store purchases is unelectric. No late fees? I like it. Plus I am most grateful for a card that doesn't expire because it is truly a bummer when it expires and I have to reenter all my info. Apple TV? I don't mind paying just for what I want and, more important, I don't have to pay for what I don't want. Sounds like something that will save you money, especially the HBO and ESPN plus, both of which I pay for, and I just want to use Siri to put on what I want. I also am intrigued by the morning show with Steve Carell, Reese Witherspoon and Jennifer Aniston. Oprah's in; love her. Oh, and gaming? I don't play games. My wife does. She will want the Apple Arcade service with brand new games. Again, if you are not a gamer it's irrelevant. But if you are, it's intriguing. The analysts who cover Apple are wealthy so these perks mean little to nothing. They are thinking "Who cares about how much the features save?" Who really needs a credit card that allows you to skip a month of payment? It's all incremental, a true curse word for those trying to get behind a stock that's just had a tremendous move higher. I am sure the analysts/critics could barely keep their eyes open. They sniff at an amalgam that could save people $100 a month or so. Maybe more. That's too bad because the vast majority of Americans who have iPhones will be able to save a very big chunk of money relative to what they pay now. For them saving $100 bucks a month is truly a godsend - and I am using that figure because it seems like that's what you might get in the average bundle. What would they be excited about? What would the people who help determine the stock price really want? Okay, I am going to give you what the analysts wanted - not what Tim Cook might want, but what would have gotten the stock up because they are bold and determined. The naysaying analysts wanted something blockbuster. Here are the blockbuster ideas that I do not expect Apple to do but I know would move the needle. First, critics wanted Apple to spend more to rival Netflix (NFLX) . That means spending $50 billion, the alleged amount Netflix paid to create its content. Or it means buying Viacom (VIAB) , with its Paramount studio and CBS to make television programs and get the NFL and March Madness. Viacom has a pathetic $11 billion market cap. CBS (CBS) is only valued at $17 billion. Rock bottom. I think they can get both for $40 billion. They can develop and have all the programming they need, including CBS All Access. When we interviewed Tim Cook he talked about how health care would be his legacy. Millions of people can be saved if Apple can link its watch to a company that handles medical records. Seventeen million people die every year from cardiovascular issues. Diabetes kills 3.2 million people. So Apple has to buy Cerner (CERN) , the best public medical records company, to get a handshake going with the medical community. That's $18 billion. Maybe they have to spend $23 billion? How about diabetes? We know that DexCom (DXCM) has the best glucose monitor. We know that Tandem Diabetes (TNDM) make insulin devices. Dexcom's $11 billion. Tandem Diabetes is $4 billion. That's $15 billion, so Apple spends $20 billion. So, there's $83 billion in acquisitions that would make these analysts believers. Now I told you there was no way that whatever they did would move the needle for the analysts even as it might move the needle for the consumer. Nothing resonated with those who don't bother to look at their Apple bill. But if you do, I think it is additive and while not a home run it's at least a double. Which brings me to the entire concept of what Apple has to do. It has to be a service company that makes the best cellphones and gives them to you and charges a certain amount per month for the phone, and another set of billings for the services that were rolled out today and have already been part of your Apple repertoire. That would get analysts to get excited. It would even get coverage to be switched to the Procter (PG) and Colgate (CL) consumer product analysts who would have the fastest growing revenue stream of any of their covered companies. Now I know that none of these Apple issues controlled all of today's narrative. There was still more fallout from the inverted yield curve. The interest rate on the 10 year continues to weigh on the stock market because it is flashing recession even as I have said over and over again that it isn't in the cards. I was the biggest critic of the three rate hikes in 2019 nonsense that Jerome Powell called for at the absolute peak of the economy. There was still more stock being sold so money managers can have enough money to buy the IPOs that are in the queue. They don't get enough money in to buy these new deals so they have to dump something. They are dumping high price- to- earnings multiple stocks like that of Salesforce (CRM) to pick up others that will be priced at a discount to their current wares. I know that a trade deal is more important than ever and none seems to be on the horizon. The hardliners keep insisting on the tariffs staying on while the Chinese change their ways. Plus Brexit continues to freak people out, justifiably I might add, because we have no idea what will happen when it is enacted. We remain concerned about worldwide growth in a world of tariffs and nationalism. But in the end, today was Apple day and as much as I like all the bells and whistles, I know the Wall Street jackals weren't appeased and I can hear the needless catcalls and the denigration by the fat cats because they light their fireplace wood with $100 bills. 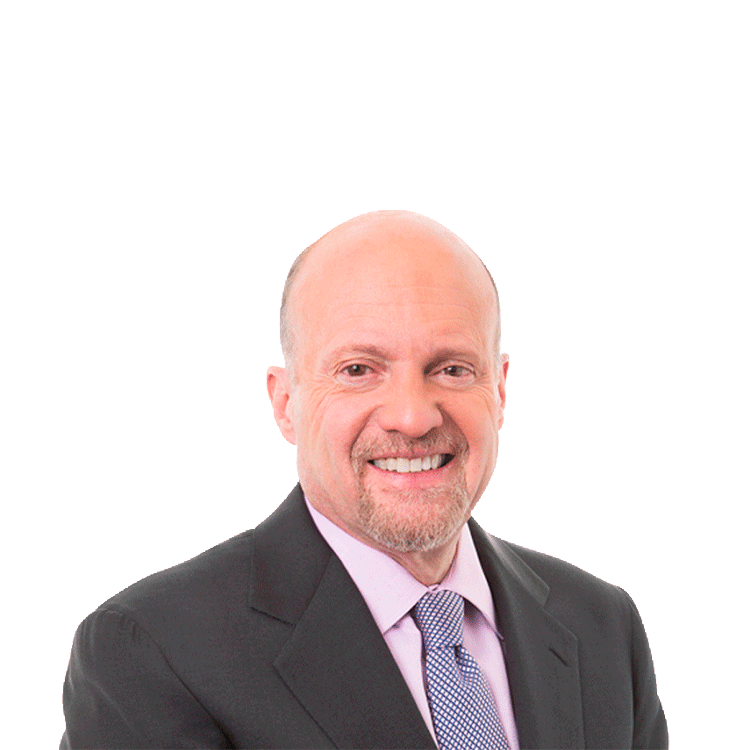 Action Alerts PLUS, which Cramer co-manages as a charitable trust, is long AAPL, VIAB, CRM.